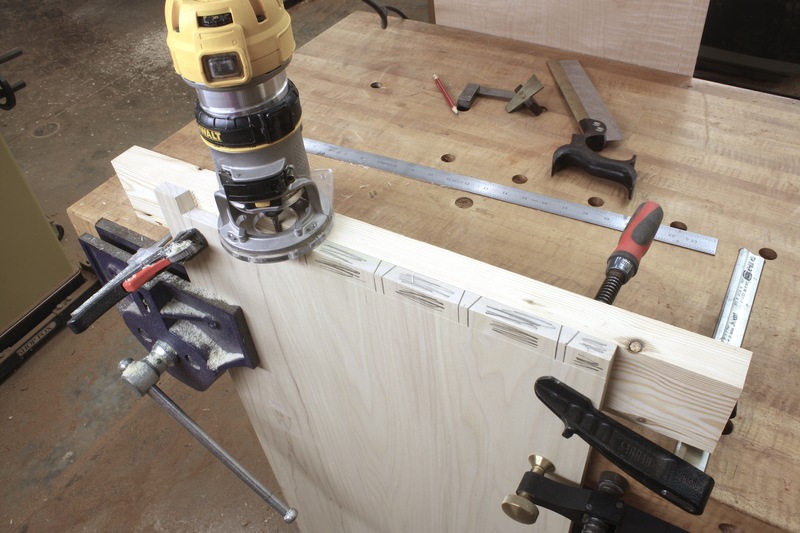 If you came here looking for the perfect set of dovetails – the best layout, the best ratio of tail width and pin width or the thinnest pins ever cut – you’re going to be disappointed. This post is not about that. It’s about dovetails that are never to be seen. It’s about what I call structural dovetails. Structural dovetails are the best dovetails because these joints can have over-sized tails and pins, and this is where you get the opportunity to either bang out a set without regard to the above mentioned conditions, use alternative methods to cut and fit your joints or practice in an area that will not see the light of day – why practice on a scrap when you can contribute to your project while building your skills. For me, alternative methods of work is my focus. This is a point where I can pull out tools that are seldom considered when cutting dovetails. Tools such as my jigsaw and router. This is where I experiment to determine if there are better ways to work – and I still move ahead on my project. If you’re scratching your head at the mention of my jigsaw, or if you’ve never considered using your jigsaw to cut intricate joinery, you’re in for a treat. I often use my jigsaw to cut dovetail pins and tails. (It’s best if you turn down the variable speed setting to gain additional control of the cut.) And I’ll bet you a dollar to a doughnut that you couldn’t tell which joints were cut using the jigsaw and which joints were sawn by hand. Let’s being with pins, or wasting away the tail waste. Jigsaw blades can be angled in either direction, and set to most any degree of angle; I use 12° for my dovetails. The photo above shows how you can make the cuts to define the pins. Set the angle to the right or left, then cut all the pins on that particular side. Switch the angle to cut the pin sides in the opposite direction. Done. To pull the remaining waste from the socket, it’s the jigsaw again. Set the blade back to 90°. With the show face down, swoop in from one side of the waste as you cut toward the baseline. 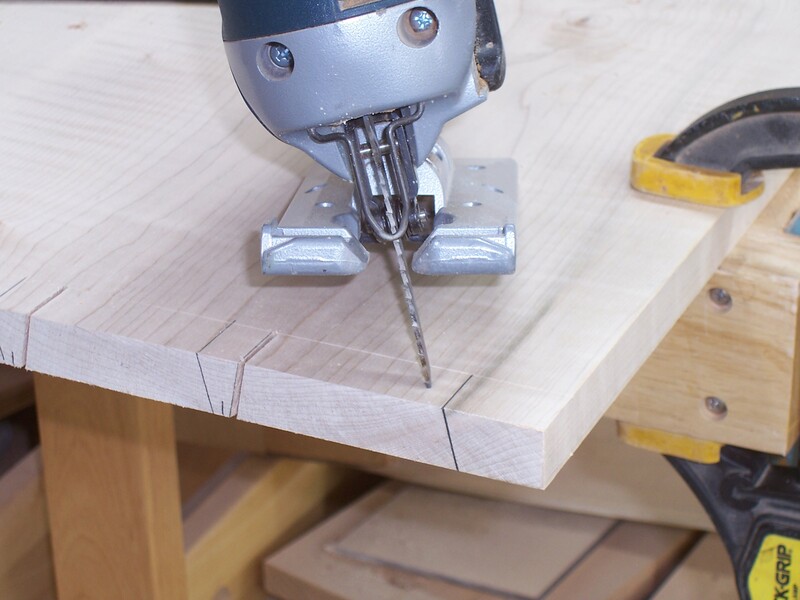 As you reach the baseline, swing the jigsaw to cut parallel to the line but about an 1/8″ away. As you reach the end of the waste, slowly kick your saw back on its heal to increase the angle of cut until the portion of waste falls away. It takes getting used to, but you’ll pick it up in a hurry. Besides, if you nick the pin, who cares because it will never be seen. After you finish working in one direction, turn around and use the same technique to trim away the remaining waste. 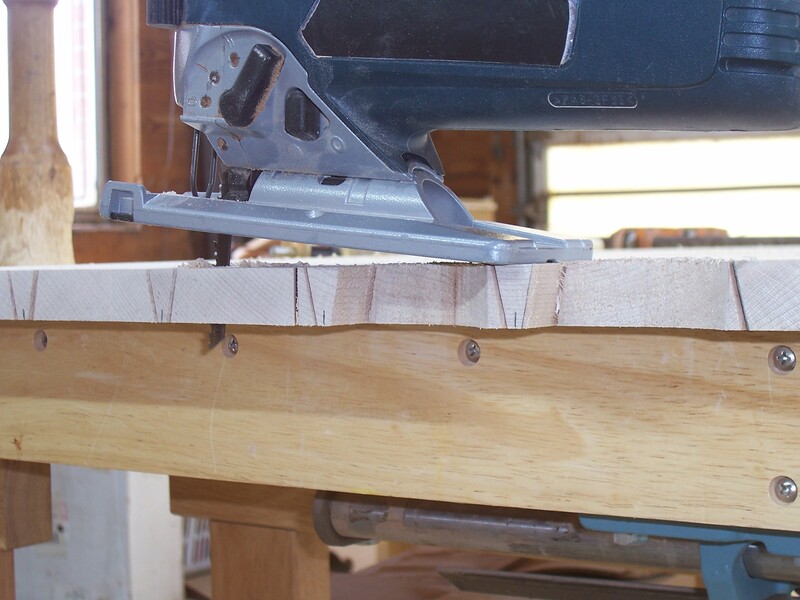 That 1/8″ that’s left is easily peeled away using a sharp chisel. You also can cut the pin waste using you jigsaw; I sometimes do that when the panel I’m dovetailing is too large to hoist up to my band saw. Next time you’re working on structural dovetails – the best dovetails – try your hand at a few unconventional woodworking ideas. You may find something that works beyond your wildest expectations. I have to admit that I never thought of using the Jig Saw. Another good reason to follow “The Woodworkers Edge”.